Since starting this blog, I’ve become a big fan of the postsecret.com blog which I gave a nod to on my About page. While I haven’t done that exactly, I’ll admit there’s been the odd morning when I’ve arrived at work after my 40-minute commute without even being conscious of driving because I daydreamed about what I would do if I won the lottery. I’ll reveal another one of my secrets. Growing up, I loved watching Love Boat and Fantasy Island on Saturday nights. It was exciting to be whisked away each week to an exotic locale, a new romance and a new fantasy. Today, fantasy TV has been replaced by reality TV. Why? It must be because there’s just not enough reality in our lives. I think it’s time we bring fantasy back into our lives. Fantasizing can be liberating, exciting, and inspiring. It’s an escape from the ho-hum and can get your creative juices flowing, spark your imagination and make you feel happy. And yet I’m going to go out on a limb and say I bet most people won’t admit to having an active fantasy life. It’s a bit like admitting you vote Green or watch The Batchelor. This week’s Happy Act is to fantasize. I don’t expect you to share your fantasy but if you are comfortable sharing, please keep it clean—this blog is rated G and some of my kids’ friends read it. I would like to try a little experiment though. How many of you are willing to at least post a comment admitting you fantasize sometimes (and I know you do). How brave are you? Let’s see. Ok, I’ll admit it… I have a very active fantasy life! Lol – but I get my fill of fantasy out of reading books (ALWAYS fiction), as it give me a chance to “become” the character in my own private way. All kinds of fiction, from teen fiction – I just completed the Hunger Games trilogy – to adventure, to romance. If I have had a somewhat stressful experience or day, I can always depend on a book to separate myself from reality and delve into an alternate life as my escape. Good for you for admitting it Stephanie! I have to say, I thought this week’s blog might peak people’s interests more, and we’d see more comments. Thanks for leading the way! To be honest, I can’t stand reality TV shows (Big Brother, Survivor, whatever). I call it “junk television” at it’s best. 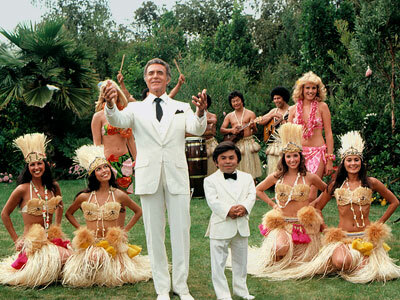 You mentioned Fantasy Island and Love Boat. While they weren’t my favorite shows growing up, they are many times better than the aforementioned reality shows (I still watch shows like Three’s Company and the Andy Griffith Show, among others). Obviously life can’t be all about fantasy, but I agree with you that there isn’t enough of it. It seems everywhere you turn you are bombarded with the reality of crime, tragedies, disasters, you name it (in the media or on the Internet), it can get you down if you really let it. So I say yes, let’s bring back more fantasy. Simply desire to say your article is as astounding.The clearness to your post iss just spectacular and i could suppose you are a professional onn this subject. Well ith your permission allow me to grab your feed to stay up to daate with coming near near post.